On 4 plates, evenly divide lettuce, beef and bell pepper. 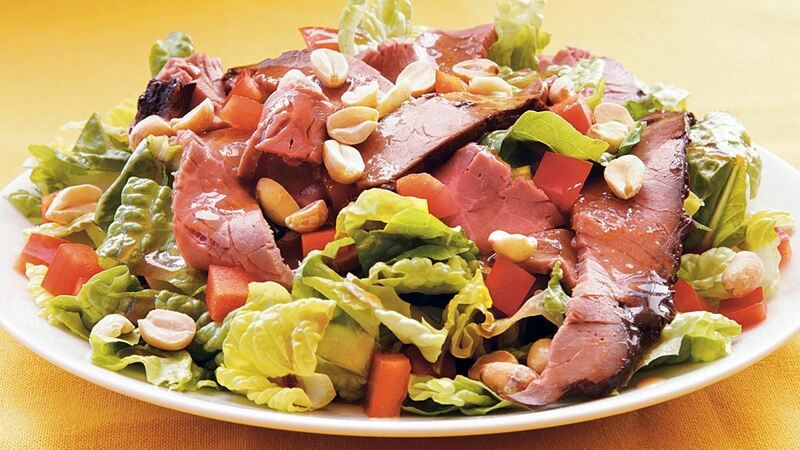 Drizzle each salad with 2 tablespoons dressing; sprinkle each with 1 tablespoon onions. Garnish with peanuts.